I regularly contribute blog articles and speak at telephony conferences about IVR Best Practices. One of the key points that I always wish to impart is: getting your auto-attendant and IVR prompts voiced by a professional is not only be a great idea – it’s a move which will inform your callers of your professionalism and overall image awareness. And it’s true: your front-office staffers are probably very capable, and even willing to voice your custom prompts – and they may even do an acceptable job. But there can be issues with using staff instead of hiring a voice-over pro. The Employee Working the Front Desk Can Change. The staffer that you enlist to voice your auto attendant might move to a different position or leave the company. Now making changes to your IVR becomes an issue. Do you just use another employee? I recently called the IVR of the largest cable provider in Canada, and I counted 15 different voices on their IVR. It sounds inconsistent, disorganized, and amateurish. You want to demonstrate continuity and professionalism when clients call your business. A professional IVR, using the same voice for all the prompts in your system, will give callers a sense of consistency, familiarity, and stability. Employees Will Be Recording Directly Into the Phone. 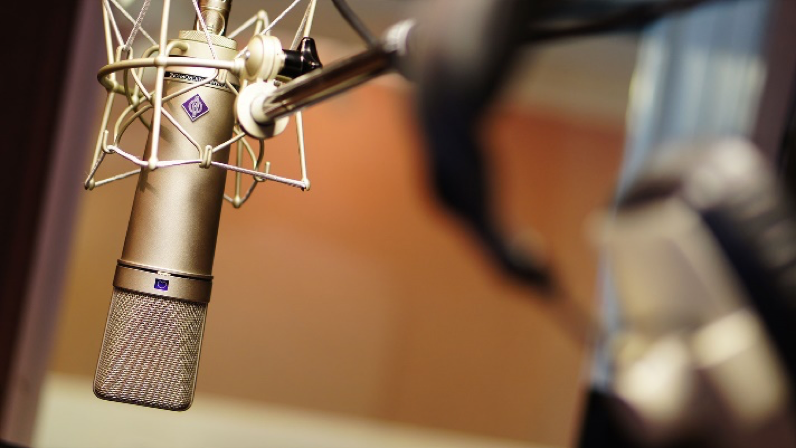 When you hire a voice-over professional, you’re getting clean, clear digital files, recorded in a professional environment. The files can be converted into any format/codec your system requires. You want to project an image of a professional company. Editing is included, removal of breathing, unnecessary pauses and background noises make the professional difference. Professionals are Available and You Are Not Taking Them Off a Project. Chances are – even though a staffer might be on your actual premises – they may not be available for corrections/additions/updates the way a dedicated professional would be. Your staffer was hired for a purpose – and voicing telephone prompts isn’t what they should be busy with. A task like voicing and editing prompts for the phone menu will likely get stuffed down on the list of importance, and not be given the proper attention – whereas it’s my core competency. There’s a Reason Why My Husband and I Go Out for Sushi Instead of Making it at Home. I’m a pretty fair cook, and can actually make my own sushi at home – but not easily and not quickly. It’s a skillset – and if making sushi was my job, I’d be pretty darn good at it. Letting a professional prepare your sushi means you don’t have to worry about all the ingredients and steps; you simply get to enjoy a great experience. So it is with IVR. The takeaway: while everyone can speak, hiring a professional to voice your auto attendant, IVR, greetings, and on-hold systems makes a much better impression on customers, setting your company above your competition and demonstrating your professionalism. Professional IVR is an easy and affordable investment in your corporate image and should be a serious consideration for anyone building a phone system your customers will use daily. Allison Smith is a professional telephone voice, heard on platforms for Cisco, Vonage, ShoreTel, Bell Canada, Cincinnati Bell, Mitel, and the Asterisk Open Source PBX. Web: www.theivrvoice.com. Twitter: @voicegal. You can purchase her custom professional voice prompts easily and directly from Sangoma in the FreePBX Store.